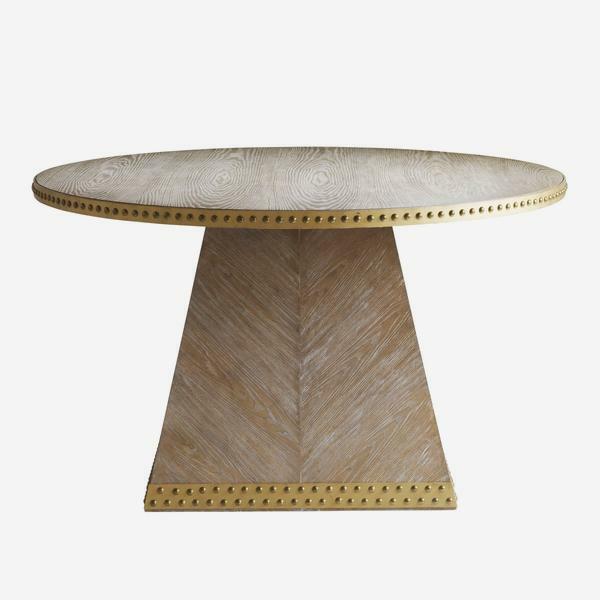 A circular wooden dining table with smart, gold stud detailing along the base and profile edge. 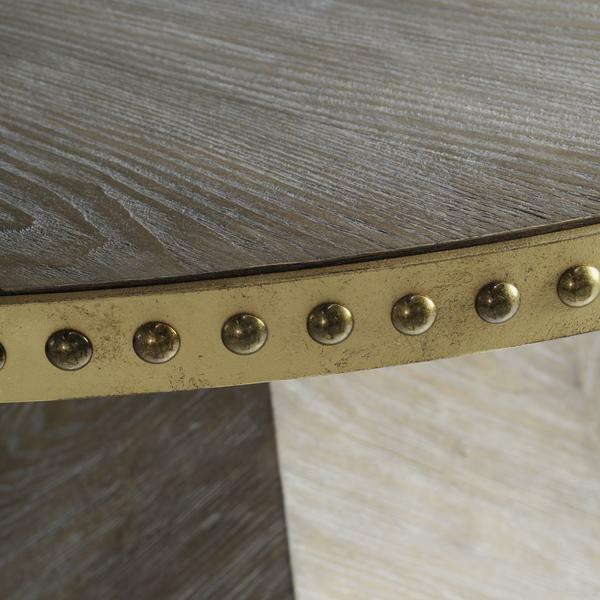 Faubourg has a brushed finish and wood graining, giving natural appeal to complement the golden glamour. 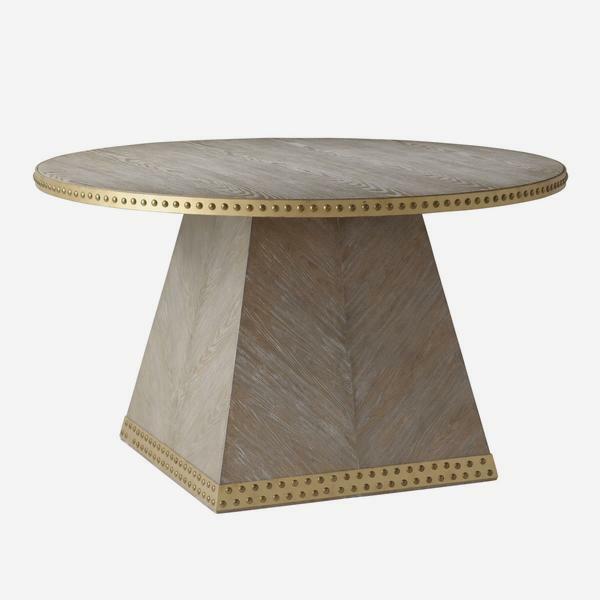 The table is inspired by the rue du Faubourg St-Honoré which is Paris' most luxurious street. 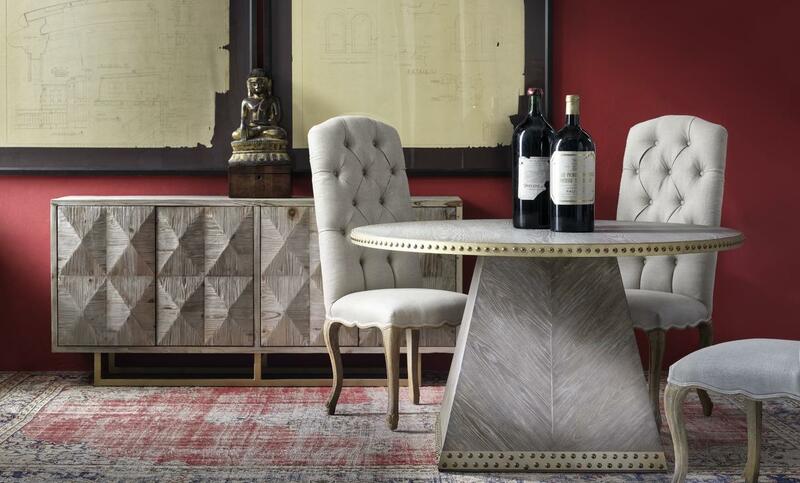 Although famously lined by every major fashion house in the world, it still exudes subtle Parisian chic, with iconic shuttered houses in cream decorated with wrought iron balconies. 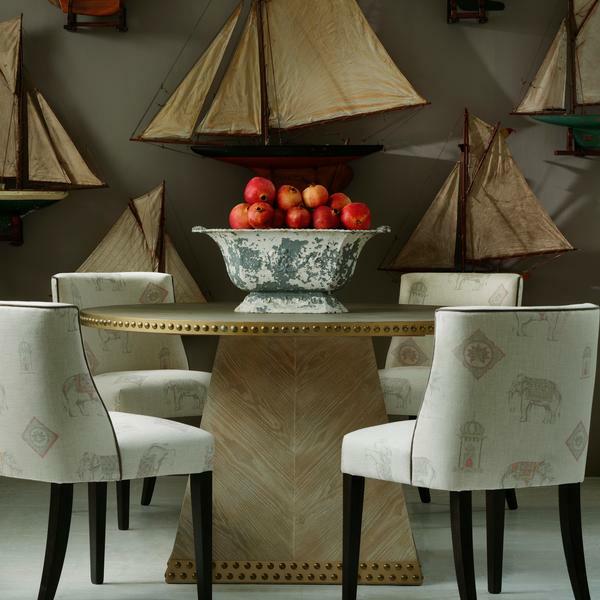 Seating 4 people, Faubourg will certainly hold stylish dinners.